Piccadilly was re-engaged by a former consumer software client to rescue the retail side of their business in 2013. 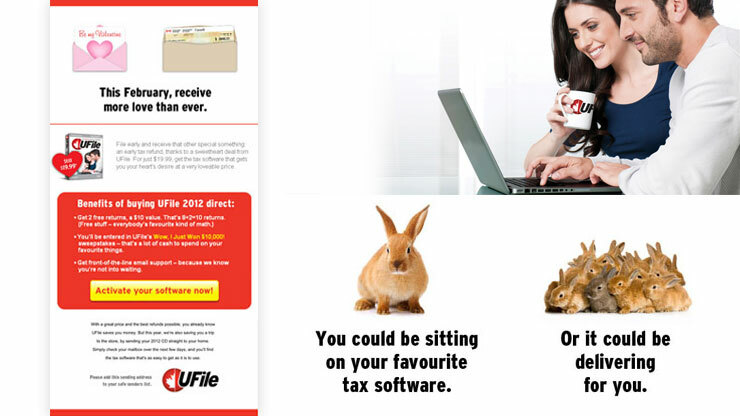 UFile is a personal tax software brand now owned by Thomson Reuters. It started as an online service and Piccadilly’s original work was to launch the retail version which grew to be half the total brand by 2012. Late in the fall of 2012, UFile’s sole retail partner advised they were giving exclusivity to Intuit, the category leader. 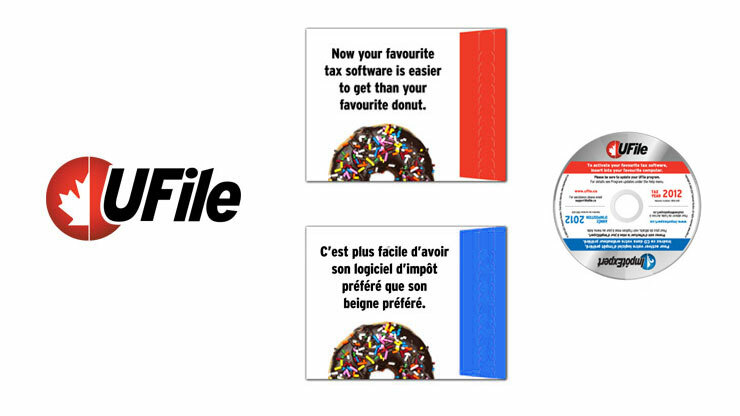 With a little more than a month before the retail tax season started, Piccadilly developed a multimedia campaign that started with traditional direct mail in early January, followed by a series of email waves that were timed and messaged to match the key stages of the retail buying season extending to the end of April. Emails linked to unique campaign website pages that motivated retail customers to purchase their software online–or redirected them to the brands nearest new retail store. The campaign recaptured slightly more than 80% of the previous year’s customers, many of whom were making their first online purchase. New retail sales, partially generated by the campaign, put the brand ahead of the previous year. It also set the stage for a new long term strategy where retail becomes UFile’s first-time customer channel, from which buyers are converted and retained as long-term direct sales customers.